There's no incense, air freshener, or scented candle on earth that smells as good as freshly baked bread. 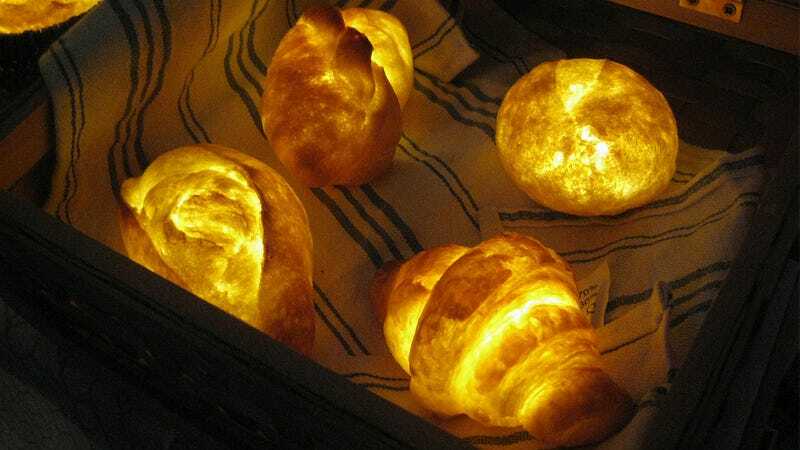 So turning a loaf into a warm glowing lamp that probably smells amazing is worthy of some kind of award, right?. If not the Nobel Prize, then definitely your hard earned money. The Pampshade lamps look incredibly realistic because they're made from actual bread—a simple recipe that calls for hard flour, weak flour, and yeast. The bread is probably not the most appetizing, though, especially since it's coated in a layer of protective resin after it cools for extra durability.